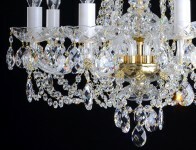 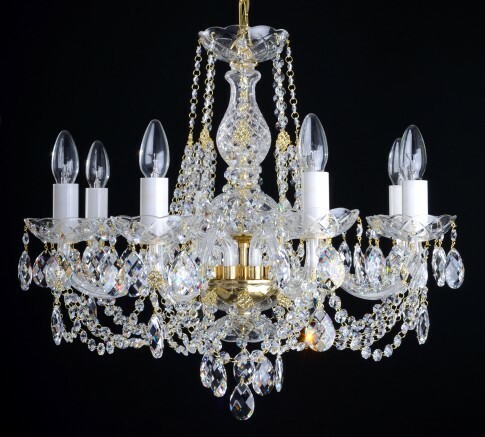 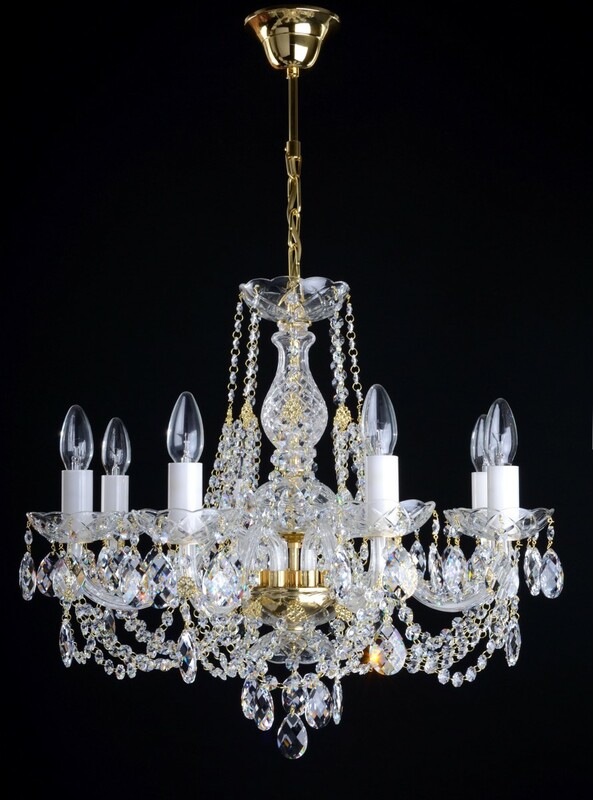 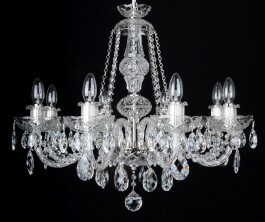 The glass crystal chandelier decorated with original Swarovski cut crystal almonds. 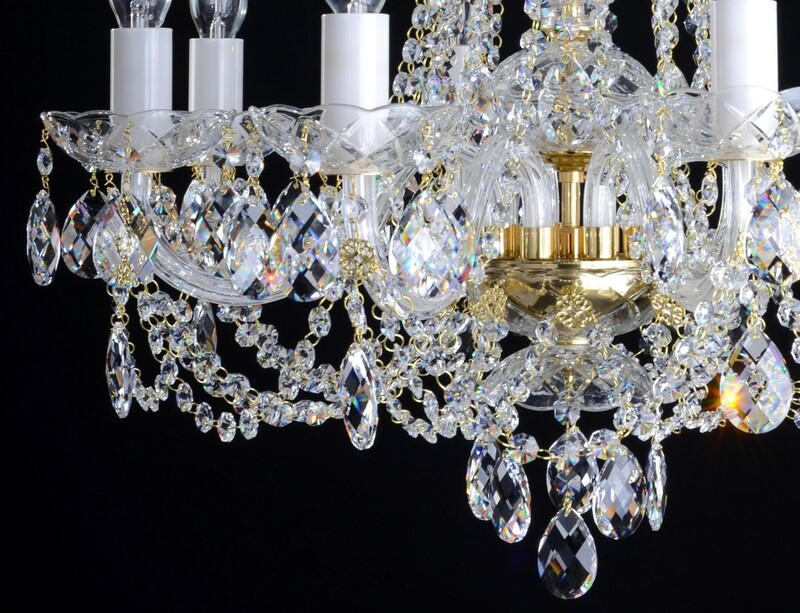 A really high gloss of leaded crystal glass. 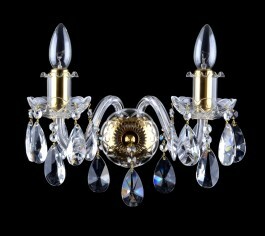 Silver metal finish - Gold polished brass. 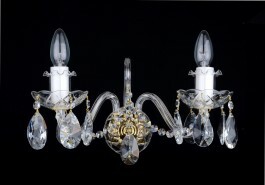 Dimensions (W x H): 58 x 57 cm/ 23.7"x23.3"